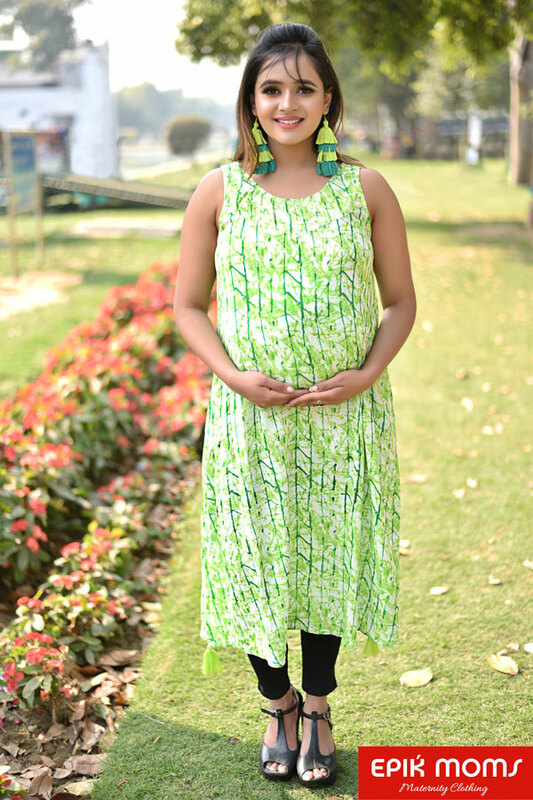 Made with elegant fabric, this green maternity dress has been designed to highlight the bump and give you improved fitting during and post pregnancy. 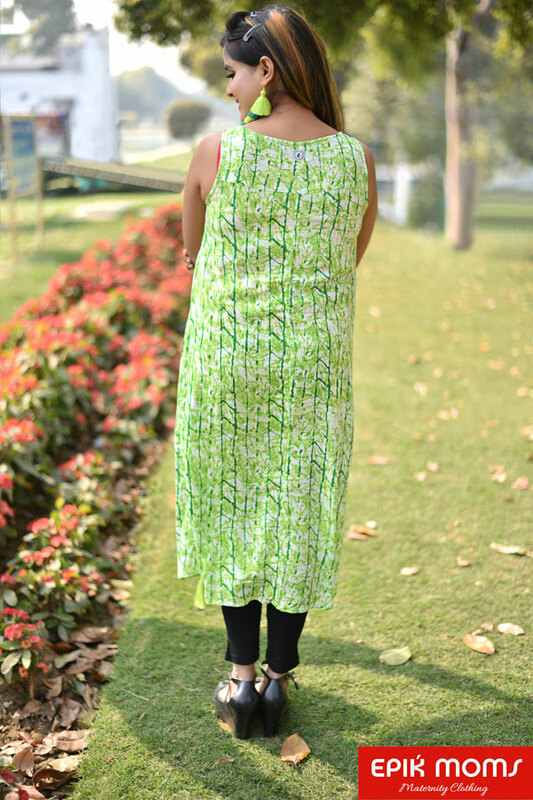 This long dress gives plenty of room for belly to grow. Featuring the amazing matching tassel at smart edges of the dress. Style it up with neck accessories and you are ready to enjoy outings!